Every photographer dreams of being present when cloud formations as seen in this image are close by. 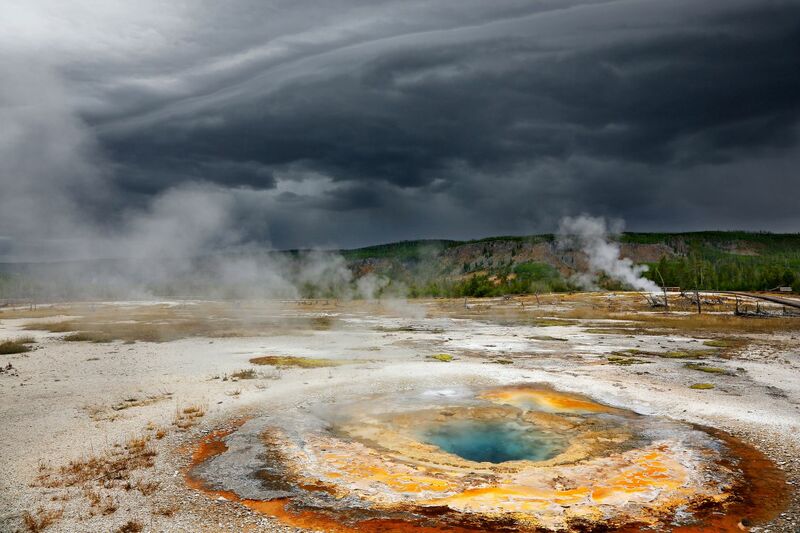 The Storm clouds above Mustard Springs at Yellowstone National Park was like nothing you had ever seen before. It was an absolute pleasure taking images of this geyser in the short time we had before the heavens opened and everybody ran to their cars to shelter from the thunder and lightning.